1. 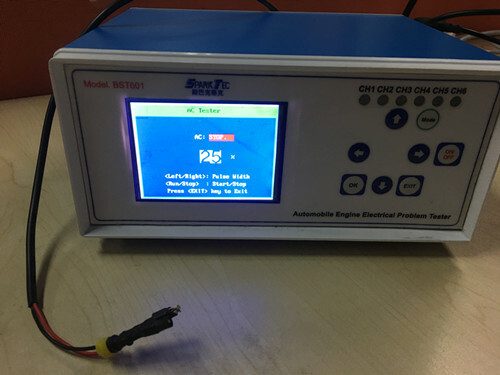 BST601 tester can test voltage, resistance, pulse of signal of electric circuit, automotive sensors and engine components, including maximum value, current value and minimum value, and display graph of value change. 2. BST601 tester can test O2 sensor. 3. BST601 tester can test quality, opening, working and operate fuel injectors. Can test and operate maximum 6 fuel injectors together at the same time. Lamps on the key pad of BST601 can turn on when test fuel injectors successfully. Each channel of fuel injector has one lamp on the key pad of BST601 tester. 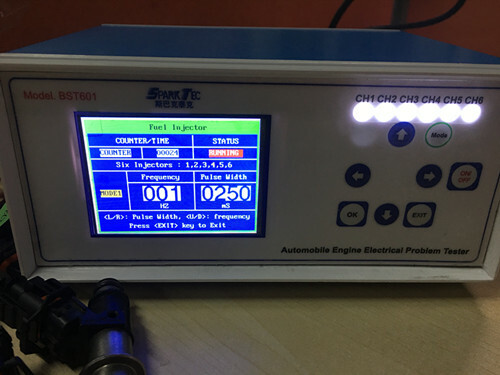 The lamp can make customers know if injector is good or not. 4. 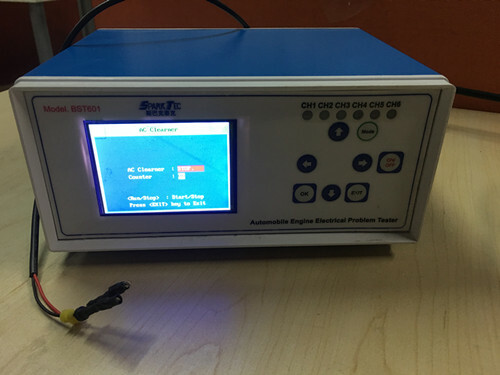 BST601 tester can test quality, opening, working and operate fuel pump. Lamps on the key pad of BST601 tester can turn on when test fuel pump successfully. The lamp can make customers know if fuel pump is good or not. 5. 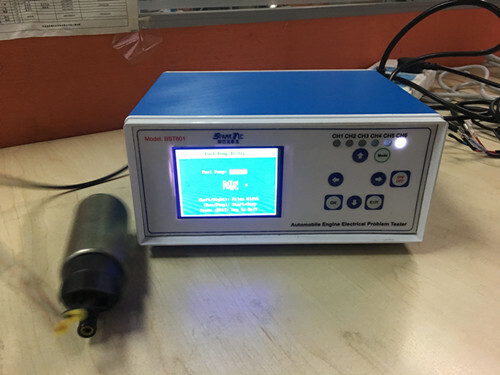 BST601 tester can test and air conditioning compressor. 6. BST601 tester can clean air conditioning conpressor. 7. 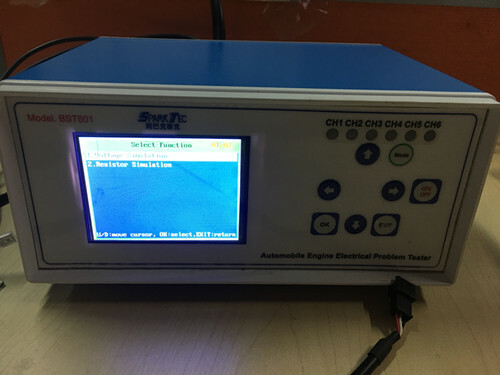 BST601 tester can be instead of all automotive sensors to work with ECU, no matter voltage type of sensors, or resistance type of sensors. Simulate automotive sensors to work. 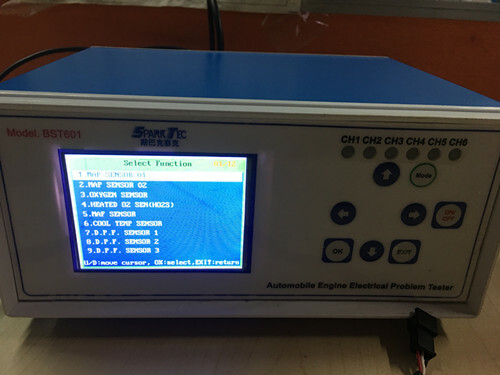 Input signal to ECU, decrease or increase signal voltage or resistance to ECU, and judge problem of automotive sensors or ECU or electric circuit. 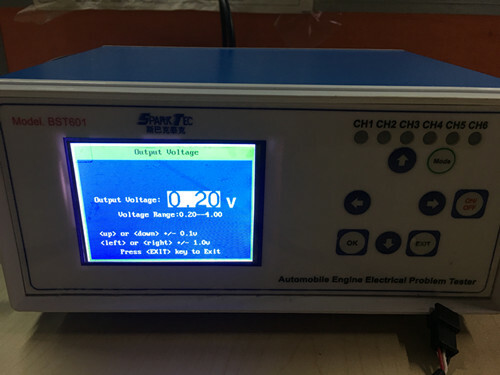 Upon all functions based on 12v automobile. BST601 is a new tester researched, developed and produced by BST manufacturer. It is an updated version of BST501Plus. 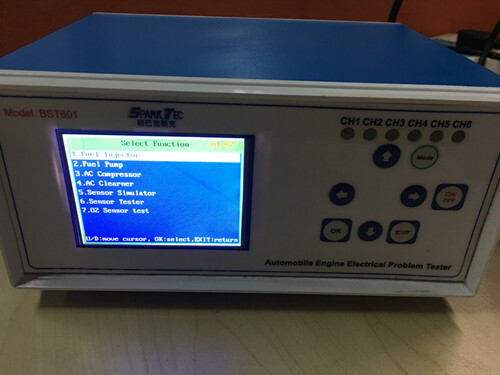 It is used to test problem of all electrical components related with engine and electric circuit. Such as automotive sensors, fuel injectors, fuel pumps, air conditioning compressor. Make short circuits and bad earths easy to find. It is a necessary tester to repair engine problem. And make engine electrical problem test and repair easily. Include voltage type and resistance type of automotive sensors, fuel injectors, fuel pumps, air conditioning compressors. Make short circuits and bad earths easy to find. BST601 has function of multi meter, but all values are designed for automobile use specially. 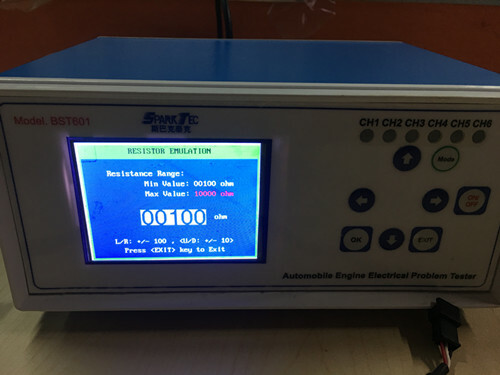 So it can test maximum, minimum and current voltage and resistance pulse. And display graph according to value change. Customers can disconnect automotive sensors with ECU, and then connect BST601 with ECU (use BST601 signal wire to connect with ECU signal pin), use BST601 to simulate automotive sensors to work, input sensors voltage or resistance signal to ECU, judge problem of automotive sensors or ECU by adjusting signal values between sensors and ECU. And then check ECU and engine working feedback. 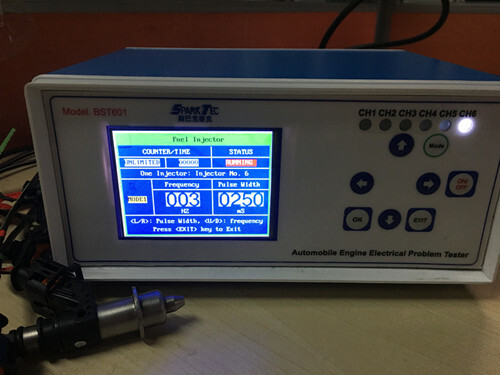 BST601 can test quality, opening, working and atomizing of all 12v automotive fuel injectors. Check fuel injectors burn out, leakage and stuck. 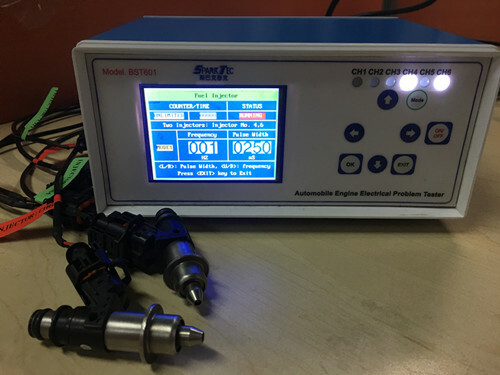 It can test maximum 6 units of 12v automotive fuel injectors together at the same time or test them separately. Or test 6 units of fuel injectors in group in order to start engine when repair engine problem or fuel injectors problem or ECU problem. 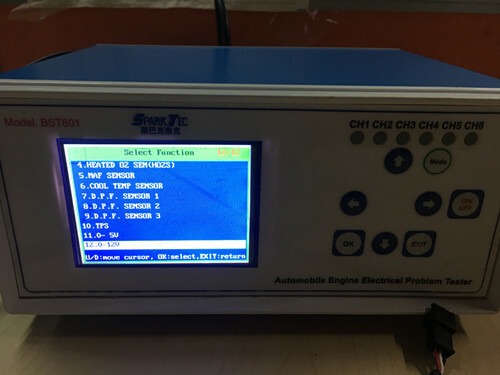 Customers can select channels of fuel injectors to test, and each channel has one related lamp on the key pad of BST601 tester, when related fuel injector is being tested, lamp is lighting. We set 5 basic testing modes for fuel injectors testing. Customers can adjust frequency and width pulse of maximum 6 fuel injectors together or separately when testing and set injection time and count. BST601 can test any 12v automotive fuel pumps leakage, electrical system of fuel pumps, and make fuel pumps stuck. Adjusting running speed of one of any 12v automotive fuel pump when testing. Lamp on key pad of BST601 can be turned on when test fuel pump. 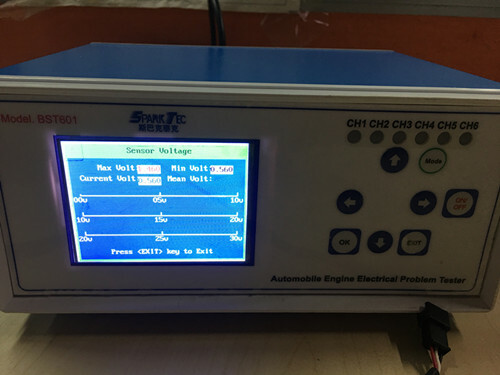 BST601 has function of testing air condition compressor and cleaning air conditioning compressor, and adjust running speed of compressor when testing. 3. One fuel injectors connecting cable with 6 sockets in order to check maximum 6 fuel injectors. 4. One fuel injectors connecting cable with 6 wires in order to check maximum 6 fuel injectors. 5. One fuel pump/air conditioning compressor cable with 2 wires in order to check fuel pump or air conditioning compressor. 6. 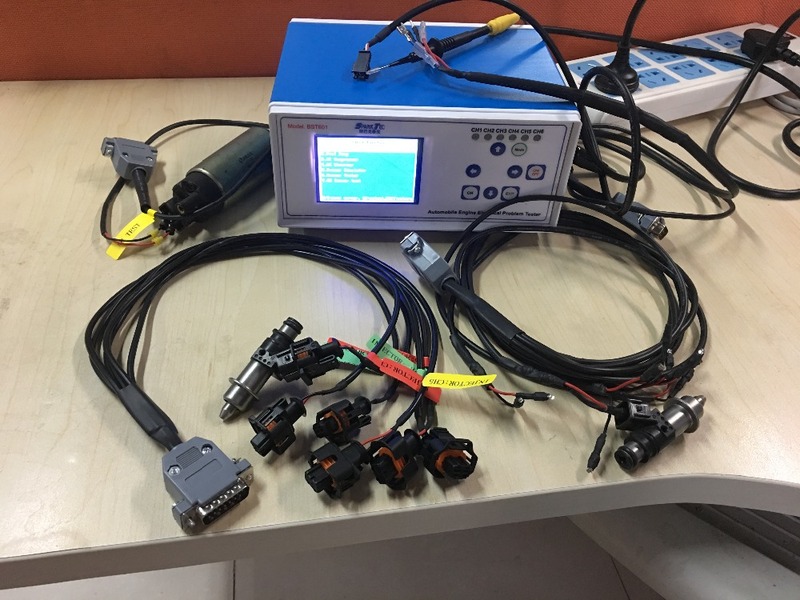 One automotive sensors simulating cable with 3 fly wires and 2 fly wires and testing pen in order to test signal voltage, resistance and pulse of automotive components and circuit, and simulate voltage type or resistance type of automotive sensors. 7. One manual in English and CD of operation video.